Despite scoring the second most points in the competition in 2018, Canberra finished 10th to narrowly miss out on finals footy. It's this relentless attacking prowess that makes them one of the most SuperCoach relevant teams in the NRL. While they lack genuine guns, the squad is filled with proven POD options that could propel coaches to the upper echelon of the rankings in 2019.
Who's left: Ata Hingano, Corey Horsburgh, Royce Hunt, Sebastian Kris, Dunamis Lui, Jack Murchie, Jordan Rapana, Sam Williams, Hudson Young. Croker is a former SuperCoach gun having averaged 72 in 2016 and 61 in 2015. While he's dropped to a respectable 54 and 55 in the past two seasons, the skipper is still one of the most reliable CTW options in the game. Croker is a class goal-kicker, has a strong work-rate and is aided by having Nick Cotric finishing tries on his outside. At $509k, Croker looks great value for a consistent scorer with massive upside in a ruthless attacking outfit. Super League recruit John Bateman is a serious option at both CTW and 2RF. One of three nominees for the Man of Steel award (Super League's best), Bateman's stats last season make for pleasant reading. Across 27 games, Bateman averaged 23 tackles, 16.4 runs, 2.4 offloads and 4.4 tackle breaks. The former Wigan star is a huge chance to start at lock in a stacked Raiders pack, with minutes likely to range anywhere from 50-65. Should injuries strike, or form permit, Bateman is also more than capable of pumping out 80-minute efforts. His $400k price tag equates to an average of approximately 40 points per game. If he can emulate the success of long-time friend Elliott Whitehead in Canberra, he looks a near must-have in the outside backs. All three Canberra stars would comfortably sit in the gun category if not in positions boasting numerous SuperCoach stars. 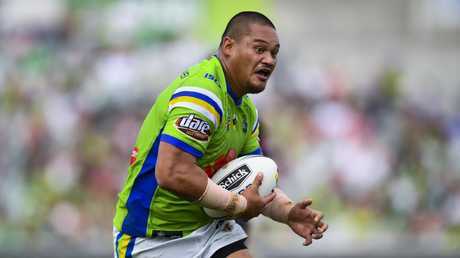 Papalii flies under the radar every year having averaged above 63 points for three consecutive seasons, while his attacking ability gives him a high ceiling. Tapine was a popular selection over last year's Origin period where his ability to go large kept him in sides for the remainder of the season. He's assured of low ownership and big minutes making him a quality POD. 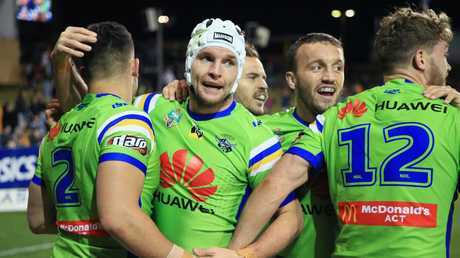 Concerns around Wayne Bennett's impact on the game's most expensive player, Damien Cook, brings Josh Hodgson into hooking calculations. Historically players returning from ACL injuries suffer serious SuperCoach repercussions, Hodgson averaged 63 points. If you're cold on Cook or the ageing Cameron Smith, Hodgson is the man to recruit. The enigmatic Leilua always piques interests following a breakout 2016 season where he averaged 72 points. Leilua's ability to effortlessly amass attacking stats is unparalleled by any other CTW in SuperCoach. Leilua averaged 51 points in 2018, but that was brought down by injury affected matches where he played 2, 23 and 47 minutes. All we need for Leilua is a preseason 'training the house down' line out of the nation's capital to know he's switched on. This is speculative as it's largely unknown who will play at fullback for the Raiders in the season opener. 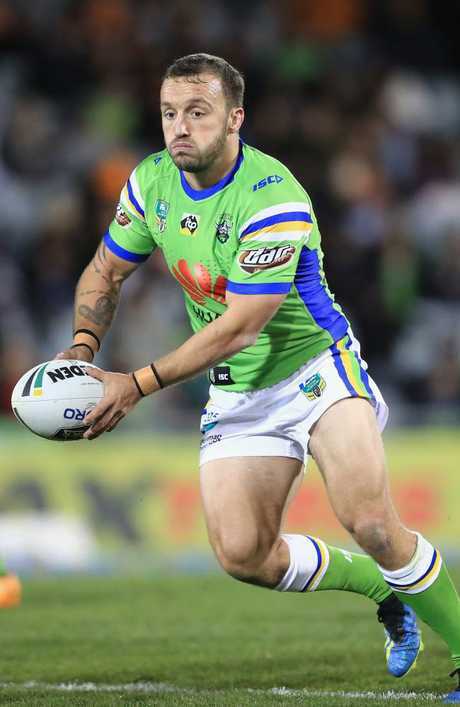 Should Jack Wighton shift to the halves, Abbey, Nick Cotric and Michael Oldfield are all options to wear the No.1. It'd make sense to promote Abbey, being the only genuine fullback of the serious contenders. If he does win the role he'll be great value at $203k to start the season, with the vital dual FLB/CTW positioning a major bonus. 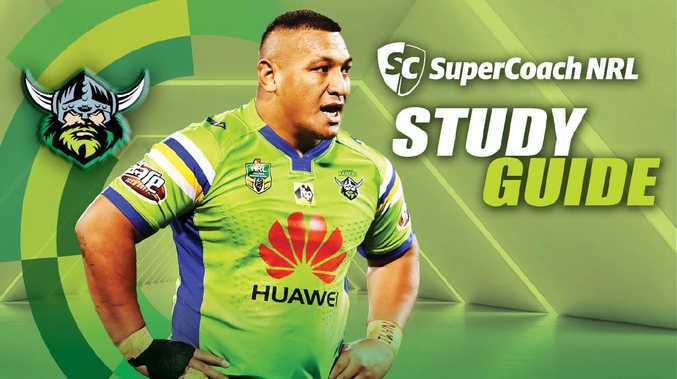 Cotric may tempt some due to his serious talent in actual NRL, but he won't earn genuine SuperCoach credentials until he ups his workrate. By no means is 12.5 runs per game a poor output, but for a winger in SuperCoach it's shy of what's required. Cotric is one of the elite finishers in the game, he busts tackles for fun and plays in a gun backline, but his base stats are short of where they need to be.